We skipped over the root beer with our dinner, and had this Cicero Salted Caramel Root Beer as a dessert drink and I’m glad we did! According to the website, this root beer has very high marks and was rated the ‘Gold Bevstar Award’ in July, and 1st place Most Popular Soda at the Homer Soda festival. Logan and I both agree, that we were expecting a root beer flavor, so this soda threw us for a loop. If this drink was just called “Salted Caramel Soda”, it would make much more sense. We both understand why it’s highly ranked – it is VERY interesting and unique. 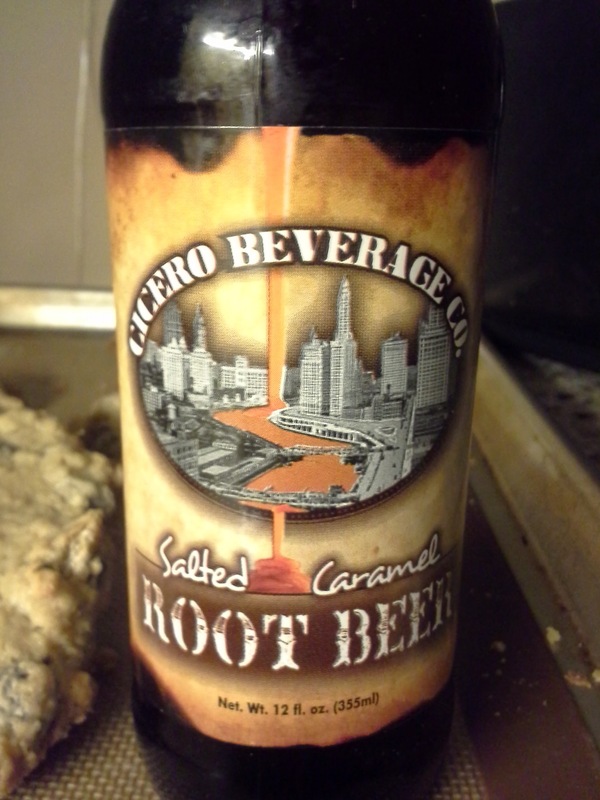 Cicero also produces a regular root beer I don’t currently have in my queue, but I’m interested in trying it based on this crazy flavored variety. I would definitely suggest if you have a World Market around to pick up one or two and share with a friend. I’d be very interested in hearing your opinion. It only seems appropriate to rank it close to the Thunder Beast (maple-flavored) and the O-So Butterscotch drinks. Next PostNext Why Don’t People Want To Donate Their Organs?